The Art of Resiliency - Communication Works Inc. Communication Works Inc. The Art of Resiliency - Communication Works Inc.
Mindy Bortness, TCL Faculty Member and President of Communication Works, shares her own story of personal career resiliency, and different ways to get to a result by approaching a situation with resiliency. Mindy gives us tips to get through tough situations and to build up resiliency in our own lives. She tells us the actions that waste time, and how to instead focus on the silver lining. Listen to the free podcast here. 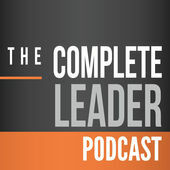 The Complete Leader Podcast features thought-provoking conversations and actionable ideas on the most pressing issues in leadership, people, culture and innovation. Each week we talk with some of the nation’s foremost authors, speakers, and experts to gain their insights on what matters most to your business. Know someone else that would like this article? Sharing is caring!